Update! 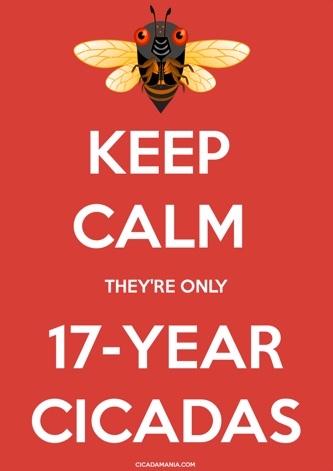 New packaging for the Clustering Cicada fireworks (thx Roy). Find it here. The Fourth of July should be fun this year at Roy Troutman’s place. Check out the Clustering Cicada fireworks he found. Here is a video shot on the 4th of July of a mutli shot cake called the Chirping Cicada. I made cicada Christmas lights using some LED USB Christmas lights, and some plastic cicada whistles from Australia. 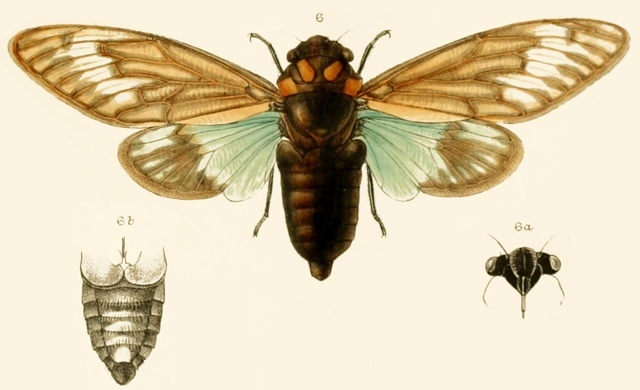 The song of cicadas heralds the Christmas season in many countries in the southern hemisphere like Australia. CicadaMania Cicada Christmas Lights from Cicada Mania on Vimeo. How about a cicada Christmas Wreath? This wreath was made by Jenny Pate back in 2004. Can you see letters like W & P on a cicada’s wings? 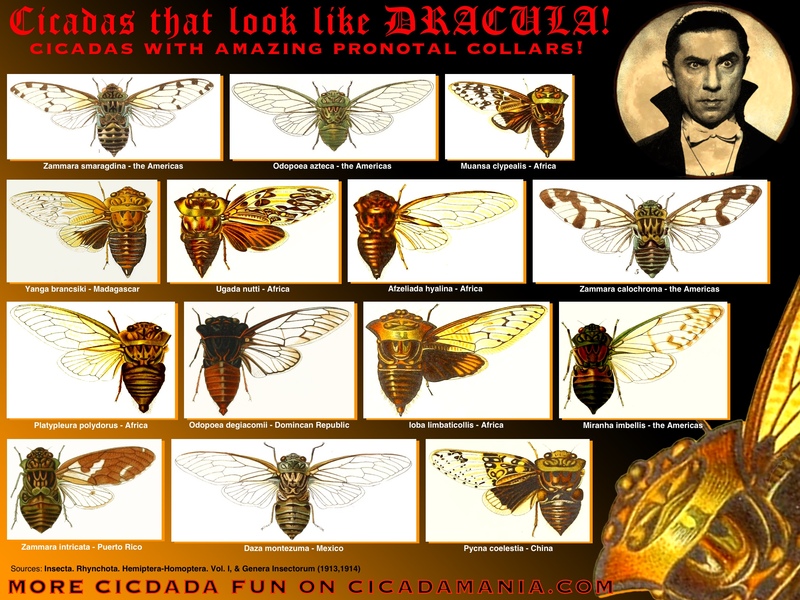 If you use your imagination, you can see the shapes of letters on the wings of some cicadas. There is an “urban legend” that W means there will be a War, and P means there will be Peace.